The Samsung Galaxy Note is expect to go on sale next month, we have already seen one video of the device from Samsung and now Samsung has released another video this time in the form of a TV commercial. The Samsung Galaxy Note features with a 5.3 inch Super AMOLED display with a resolution of 1280 x 800 pixels, plus a dual core 1.4GHz processor. 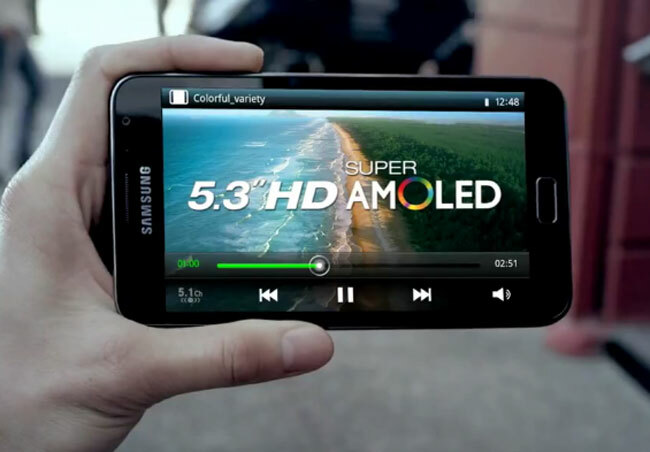 The Samsung Galaxy comes with Android Gingerbread 2.3, and there is also an 8 megapixel camera with an LED flash, plus a front facing 2 megapixel camera and it is expected to go on sale in the UK, US and Europe next month.